Heather Schaan is the Vice President & General Manager of Microserve, one of Canada's leading IT solution providers. Leveraging a strong background in business and IT, Heather's focus is on driving continuous growth and improvement of Microserve's services to support our clients in achieving their visions through technology. In her current role, Heather divides her time between making sure that Microserve delivers excellence today while evolving to meet the needs of tomorrow. Since joining Microserve in 2003 Heather has had the opportunity to work in many different roles, and with many different clients across industries and geographies. This breadth of experience provides a deep knowledge of Microserve's overall business, the local IT industry, and our clients' needs and priorities. 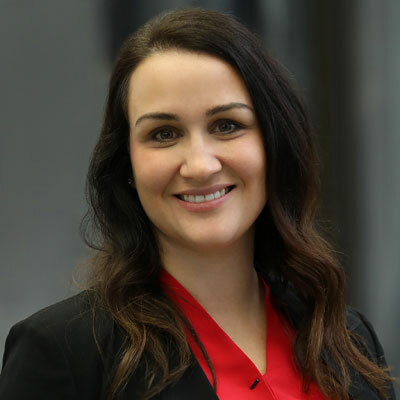 Heather has a B.CommH and MBA from Queen's University, was named as a CRN Woman of the Channel in 2015- 2017, and selected by CDN as a Woman in Canada's IT Channel Honoree in 2016. Heather is passionate about the environment, human rights, and the advancement of women, children and youth. She has two beautiful little boys and aspires to raise them as committed feminists and responsible global citizens. Her favorite way to spend time is outdoors with her family. Over the past 5 years Microserve's business has grown by 100%, hitting over $100M in annual revenue; we've been recognized as a CRN Fast Growth Company and Business in Vancouver 100 top growth company. This year I've worked to keep fueling that growth, and to make sure our organization remains positioned to support it. I've been actively involved in revamping our marketing strategy, which is already showing tangible results through more organizations reaching out to ask how we can help them get the most out of their IT. I've also been working closely with key clients and channel vendors to make sure that our relationships remain optimized so that we can maintain and build upon our close and mutually beneficial partnerships for many years to come. Another huge focus for me is growth planning and continuous improvement across our business to make sure that we are positioned for ongoing success in the future. I've lead our organizational planning with focus on a scalable and robust organizational structure, the right people empowered in the right roles, and investment in professional development for our team, to maintain our momentum and success as one of Canada's most successful IT service and solution providers. In the next year Microserve will to continue to provide the exceptional customer experience and service our clients depend on, while remaining a growth company. This will include: completing the launch of our 2018 branding and marketing strategy updates, continuing to build awareness and demand within mid-market and enterprise organizations by demonstrating real value, focusing on talent development and organizational alignment, maximizing value from strategic channel vendor relationships, and continuing to offer a dynamic portfolio of services and solutions aligned with our clients' evolving business needs as well as technology developments. In 2017, I was thrilled to be recognized by CRN Women in the Channel as one of the Power 30 Solution Providers for the third consecutive year. One of my 4-year-old son's favorite books right now is "Malala's Magic Pencil", by and about Malala Yousafzai and her bravery in speaking up for the right that all girls and children should have to education. So often I feel helpless to make a difference in the plight of the many people around the world whose lives are ravaged by war, poverty or injustice. Malala's inspirational story is an important reminder to each of us of the difference that one person can make, and teaches our children the value of their education and the power of their own voices. As a 16-year-old I was very focused on my personal successes and achievements and measured my worth largely based on how I compared to others. Whether it was getting good grades, receiving recognition, making the A team, or winning a music competition. My advice to myself would be to keep that same level of drive and ambition, but refocus more energy on having a positive impact on the people close to me, and my larger community. The results would be so much more rewarding and lasting, and ultimately bring greater success and fulfilment than one person could ever achieve alone. One job-related skill I'd like to master is bringing out the best in others so they can achieve their full potential. If we can help our people increase their productivity by only 10% by understanding their strengths and effectively motivating and coaching them to make the best use of them, that can have tremendous impact when multiplied out across tan organization. At the same time, people who are operating as their best selves are happier and more energized, and so more fun to work with - which makes going to work more fun as well as more productive. "Crucial Conversations" is a great book about communicating effectively in challenging situations to achieve a positive outcome. One of the situations the book focuses on is communications when opinions vary. This can create conflict, but if handled effectively it can also create opportunity to come up with something new and special. This book had lots of great new ideas as well as reminders and practical advice on how to open up candid and honest dialogue in even the most sensitive situations so that everyone comes out ahead.